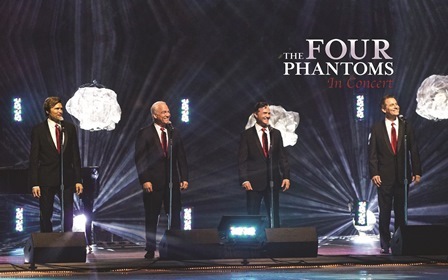 The Four Phantoms’ performance will include a celebration of the great Broadway musicals including, of course, The Phantom of the Opera. The Four Phantoms are comprised of an extraordinary group of performers - each of whom has starred in the title role on Broadway. Under the musical supervision of conductor, pianist, producer, and two-time Grammy winner David Caddick, these performers bring to the stage a once in a lifetime event - and the "show of the season."